Eyeglasses can improve your vision and your style. To find the perfect pair for your price range, visit the experienced professionals at The Eye Doctors in Havertown, Pennsylvania. Dr. Barry Toyzer and his team help men, women, and children find eyeglasses that are functional, well-fitting, and fashion-forward. Call the office or book an appointment online to get started today. "Everyone at this office is professional and courteous. The best I've ever had." "Dr. Toyzer is a friendly, articulate doctor who provides excellent care." "Excellent doctor. Very personable. Great staff. Very accommodating." "Very professional and understanding. Best eye doctor in the area." "Dr Toyzer is extremely thorough along with using the most advanced technology." "Dr. Barry Toyzer is thorough,and very excited by his work. It was a pleasure to have him"
While most people know if their vision is getting worse, sometimes it’s hard to tell if you need prescription glasses. Your vision can gradually get worse over time, so if you suspect you need eyeglasses, it’s best to get fitted for them as soon as possible. The best way to know for sure is to schedule an eye exam with Dr. Toyzer. After your exam, you’ll know if you’re nearsighted (you have trouble seeing far-away objects) or farsighted (you have trouble seeing objects that are close to you). What types of glasses are offered? With a comprehensive vision exam, Dr. Toyzer determines your vision prescription and fits you for eyeglasses. The Eye Doctors offers a number of top-quality, brand-name eyeglasses for both regular glasses and sunglasses, including Ray-Ban, Kate Spade, Ted Baker, Coach, and Silhouette. If you have 20/20 vision with your glasses on but still aren't satisfied, HD eyeglasses can offer additional benefits, especially if you have very bad vision or astigmatism. HD glasses provide sharper, clearer vision than what’s possible with traditional eyeglasses.They also reduce glare for night-vision tasks like driving. What are the benefits of eyeglasses versus contacts? With the right pair of glasses, you won’t strain or squint to read, drive, work, or do your normal, day-to-day activities. You only get one pair of eyes, so it’s important to take proper care of them. To get started with an initial consultation today, book an appointment at The Eye Doctors by calling to scheduling online. "Dr. Toyzer and his staff are excellent. He is extremely knowledgeable and keeps up with modern technology for prevention and diagnosis of eye problems. " "I'd recommend anyone, whether individuals and/or families with young children, to consider Dr. Tozer and the Eye Doctors in Havertown." "Dr. Toyzer and his staff are excellent. He is extremely knowledgeable and keeps up with modern technology for prevention and diagnosis of eye problems." "Dr. Toyzer is extremely thorough along with using the most advanced technology for detecting potential eye problems." 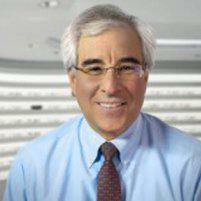 "Dr. Barry Toyzer is thorough and very excited by his work. It was a pleasure to have him work with myself and my daughter."